Union Public Service Commission Declared result of Assistant Commandants in Central Armed Police Forces (CAPFs), Check Yours Now. Union Public Service Commission has released result for the recruitment of Assistant Commandants in Central Armed Police Forces (CAPFs). Written examination for the CAPFs was held on 23rd, July. List of qualified candidates with roll number who are eligible for Standard Test/Physical Efficiency Test is uploaded on official website of UPSC at upsc.gov.in or can be accessed with the direct link given below. 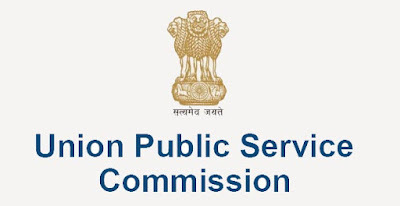 The CPRFs Nodal Authority will intimate to the candidates about the date, time & venue of the Physical Standards Test/ Physical Efficiency Test (PET) & Medical Standards Test, to be conducted by them, said a results notification from UPSC. In case, any candidate does not receive the call letter for further tests of UPSC CAPFs AC recruitment by November 21, 2017, the candidate may contact the HQ, DG, Central Reserve Police Force on Telephone No. 011-24368630, FAX No. 011-24362730 & e-mail ID igadm@crpf.gov.in and U.P.S.C. through letter or FAX immediately, to facilitate delivery of communications to them promptly. The notification for UPSC CAPF Assistant Commandants recruitment 2017 was released in April this year for 179 vacancies. The written exam was comprised pf two papers.